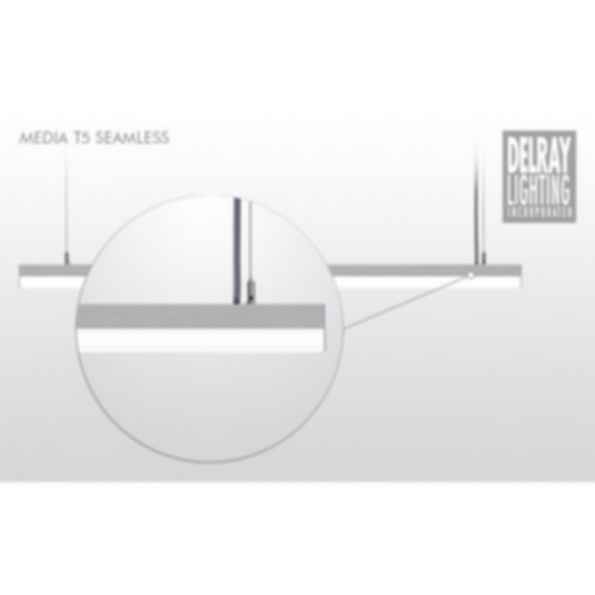 Media T5 Seamless Lighting is a stand-alone or continuous run pendant or rail mount strip light fixture for workstations, task lights, or general illumination. 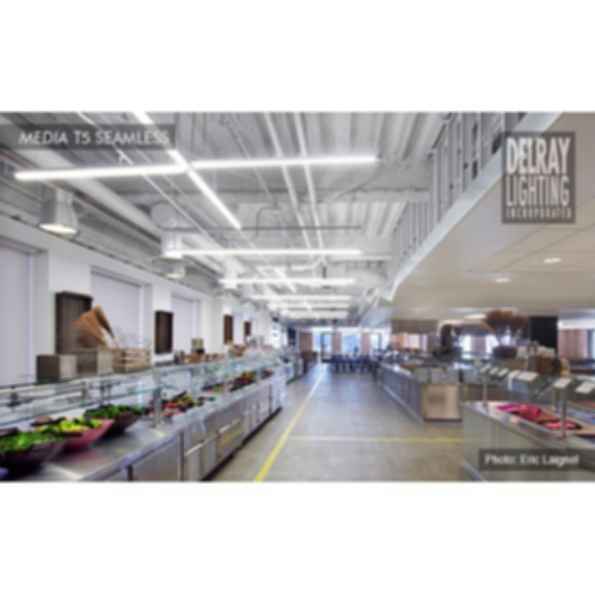 Media's housing is divided horizontally, the top section extruded aluminum, the lower section a white acrylic diffuser. 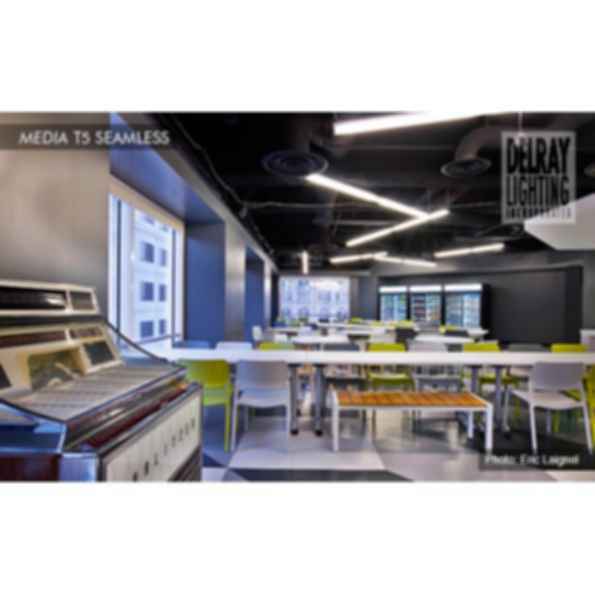 Uses seamless T5 fluorescent tube lamps.